You have never tried tennis like this before. Blending the athleticism of tennis with the sunny beach culture, Beach tennis is strictly an aerial game played on the wonderful soft sands of the Port Melbourne beach. Aside from the aerial aspect, the scoring system is the same as tennis. Then you bring in the net, (1.7m high) which is higher than a normal tennis net, so it is not a wham-bam thing, it is played more with finesse and skill. Most of all, Beach Tennis is a highly energised and addictive game that can be played by everyone! It is Great Fitness and FUN. Beach Tennis demonstrates the reasons we play sport, for passion and fun! 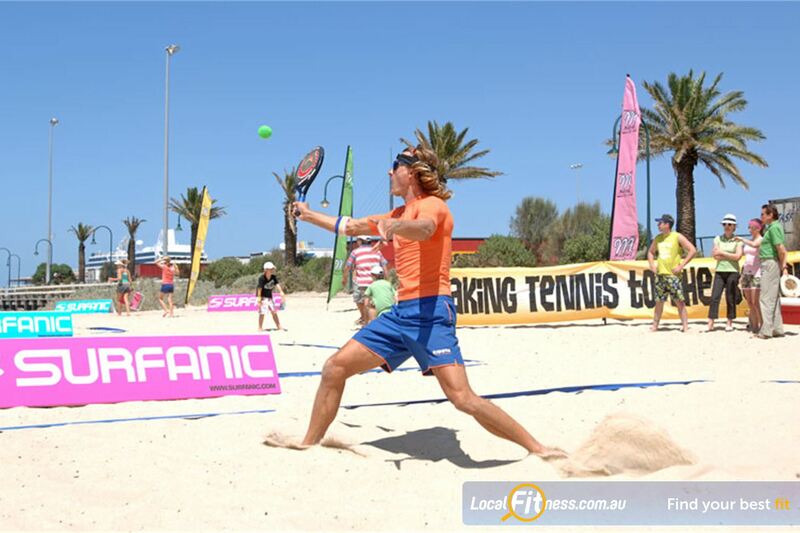 For more information visit www.beachtennis.com.au and talk to Paul or Kellie about getting involved this summer!